Bible VR introduced its revolutionary technology this week at the North American Christian Convention (NACC.) The company is the first to offer Virtual Reality content in full stereoscopic 3D including stories of the Bible, Holy Land experiences, and Prayer Rooms in the lands where it happened. Filming in the sacred holy places in Israel has been an experience that I will never forget. Spiritual leaders overseeing these sacred holy sites have embraced Bible VR and have allowed us to film in religious places many would never see. Bible VR introduced its revolutionary technology this week at the North American Christian Convention (NACC.) The company is the first to offer Virtual Reality content in full stereoscopic 3D including stories of the Bible, Holy Land experiences, and Prayer Rooms in the lands where it happened. The technology includes an all-new smartphone application that brings the stories of the Bible alive in 3D virtual reality through VR headsets like Google Cardboard. By creating these visual experiences of the Bible and making them available to anyone, and especially for younger generations, the church faithful, pastors, students, or even those who are just interested in the Holy Land will be able to experience the high places of the Bible. From Nazareth, the Sea of Galilee, Mount Sinai, to the Garden Tomb where Jesus was buried, Bible VR will allow you to walk where Jesus walked, and to break bread where Jesus broke bread, experiencing a trip to the Holy Land without leaving your home, church, or classroom. Through Bible VR’s “Give It Back” program which debuted at NACC, pastors who register their church will receive a free lifetime subscription to Bible VR content. Users who sign up for the “Give It Back” program will have a portion of their subscription given to the church they attend. Subscriptions are available now, and are being offered at the special introductory rate of $7.99 per month. Anyone interested in the “Give It Back” program can sign up or request more information via the Contact channel at http://www.Bible-VR.com. The North American Christian Convention is an annual summer convention supported by churches, colleges, institutions, and missions programs associated with the Christian churches and churches of Christ, mainly across the United States, but also in other parts of the world. The NACC Mission statement is to be "the connecting place providing ideas, inspiration, and identity to New Testament Christian Churches and their leaders." This year’s convention was held at the Anaheim Convention Center from July 12-14, 2016. The goal of Bible VR is to revolutionize the way we learn about the Bible, especially for children and young adults. The company creates faith-based content via virtual reality tech for both education and entertainment, allowing users to experience events instead of just reading about them. Users will be able to feel and see the parting of the Red Sea, crossing while being chased by the Egyptian armies, or experience the fall of Jericho, and see the rise of David or Solomon instead of just imagining them from reading words on the page or seeing 2D renditions on a screen. The VR platform also allows for spiritual growth by providing VR prayer rooms. 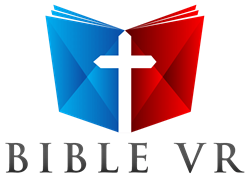 Bible VR is a division of FigTree VR. For more, visit http://www.Bible-VR.com.